Atkinson’s new Geyer-style double horn. We’re pleased to have the new Atkinson AG2K horn in stock. Mark Atkinson is a 2nd generation horn maker. He makes everything, bells, valves, mouthpipes, in his Burbank, California workshop with one assistant and his brother Jim, who makes parts in between Hollywood studio sessions. These horns are among the most “Geyer-like” of the various Geyer style horns out there. 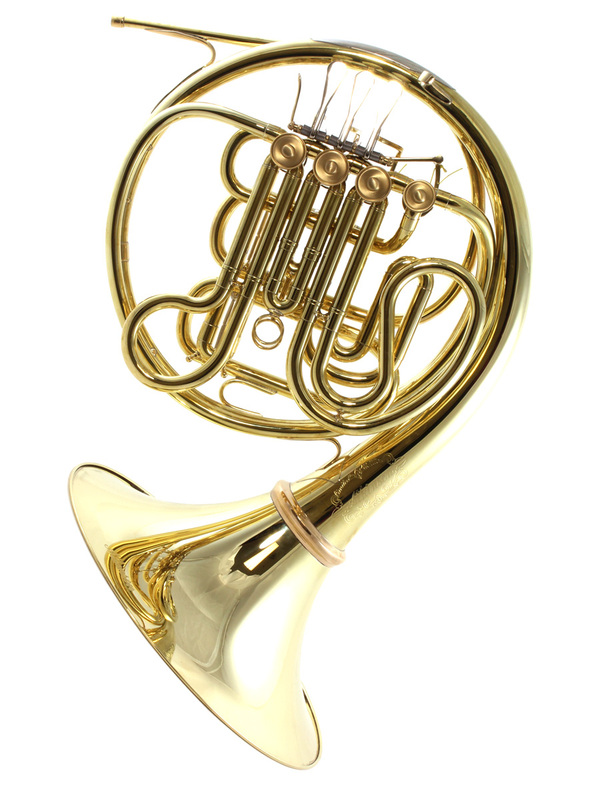 The principal horn players of both the LA Phil and the Boston Symphony are currently playing this model. (At last count, there were three in the BSO!) So, if you’re in the market, or if you’re just curious, we have the AG2K as well as Geyer style horns from Dieter Otto (Jeff Nelson model) and Hoyer in stock for you to try.